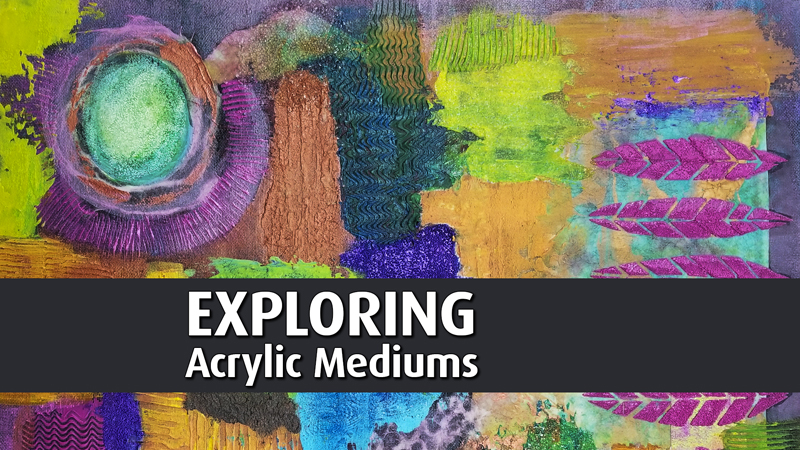 Using acrylic mediums in your work can bring your art to a whole new level! But there are so many...how do you even begin to make sense of them all? We can help! In this workshop, you will get to sample a wide range of different mediums and learn what looks you can achieve with each one. You'll learn how to mix them with paint, incorporate them into collage and use them to create interesting textures. You'll leave with a finished piece of abstract art and a board that will serve as a reference for your future use of mediums. Now Featuring: RGM Palette Knives!! !